If you've been creating niche websites for long, specifically Amazon affiliate websites, you undoubtedly know that affiliate websites have a certain look about them. I'm not saying it's wrong or it's bad – but it's usually true. I'm not knocking this site owner – I hope he sells a lot of toasters. I've just never wanted to have an affiliate site that has that typical affiliate site look and feel – where the only things in sight are reviews and affiliate links. On the flip side of this discussion there are plenty of sites that are affiliate sites at the core, but they are in a disguise of sorts. Some of the articles featured on the homepage are affiliate articles, but they are mixed in among other great looking content like the best hiking spots in the Pacific Northwest, tips for beginner hikers, and many more. Though I don't share my highest earning website publicly, a very similar “incognito affiliate” model has worked well for me too. Today I want to share what I mean by that, and give you just 3 reasons why it works so well. Well, it's a term I made up that refers to a website that makes a significant portion of its earnings from affiliate commissions, but it doesn't look like a typical, in-your-face affiliate website. To be clear, this does NOT mean you should leave off your affiliate disclosures. For Amazon in particular, you need to make sure that you disclose that you're part of their program on every page of your site. The simplest solution is to put this disclaimer in the footer of your website. Instead, this is a shift in how you think about your site – both the look of it, and the content you create for it. 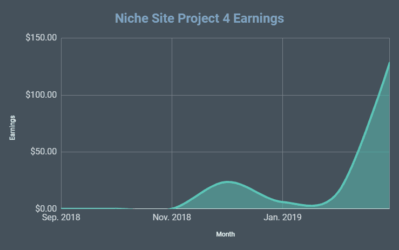 The rest of the earnings come from Ad Thrive, a managed ad network that I heard about from a fellow member of Niche Pursuits Insider. I realize our $12K/month average is inflated because of the holidays – but I am happy to report that we have been sticking right around $10K back in October and more recently January. Targeting low competition, long tail keywords has always been a primary focus of the websites we build. However, when you can leverage the power of social media to bring in even more free, targeted traffic – it's even better. The problem for many affiliate sites is, people aren't usually too excited to share your in-depth comparison of hiking boots on their Pinterest account. 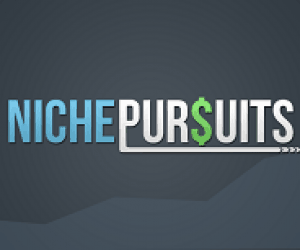 Not sure what's shareable in your niche? 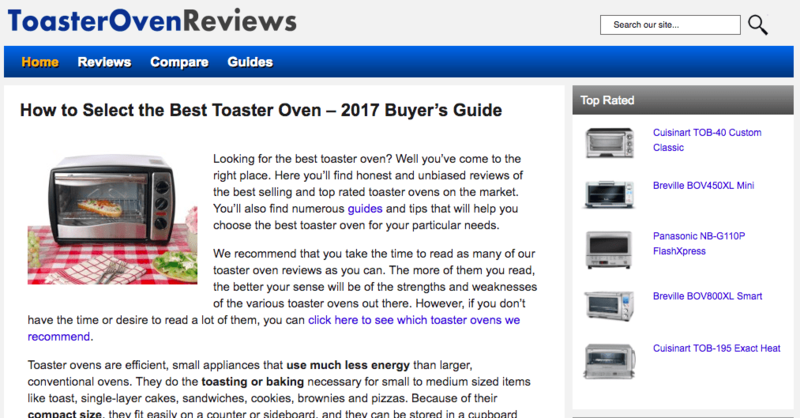 If you've got a site that is primarily an affiliate for washing machines, dryers, and similar appliances, this could be an awesome resource for you to discover new, shareable content ideas for your website. 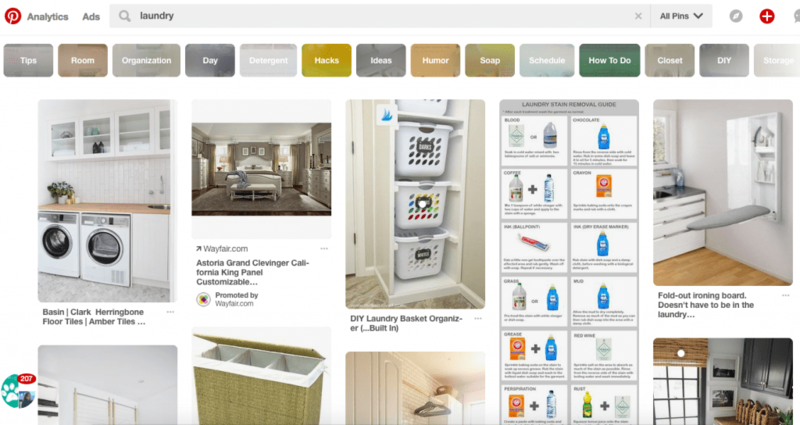 At a glance, I see things on Pinterest about stain removal tutorials, organization tips, and space-saving ideas for laundry rooms. Right there you know you've got 3 article ideas that are likely to be well received on Pinterest. Obviously, it doesn't have to stop with Pinterest – there are plenty of other social channels out there you can search and use to build a following to drive free traffic to your site. In my case, Pinterest happens to be the valuable social media channel – driving us over 165,000 visits in 2017. This is a similar case to the one I just made concerning social media. Other bloggers and websites aren't usually too excited about linking back to affiliate content. They know how the game is played, so they see you as a greedy competitor who just wants a link so they can make more money. On the other hand, they are usually happy to link out to content that provides real value to their audience. That's why having your homepage look more like a real brand is so critical. Using our examples above, most people wouldn't visit the toaster oven site and immediately think “I think my website's visitors would really like this site, I think I'll link to it.” On the other hand, The Clever Hiker looks like an ideal site to link to if you're a fellow outdoorsy blogger. It looks professional and modern and is full of really useful, non-salesy content. 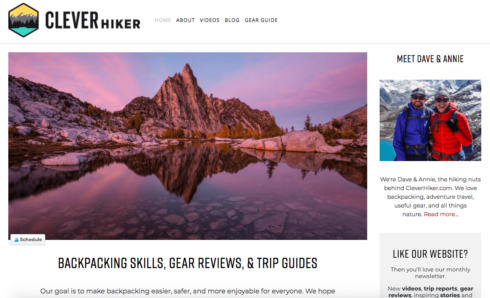 One is the homepage, and the other 2 are about why you should hike without hiking boots and a list of blunders made by newbie hikers. I've seen this play out for my own site as well. 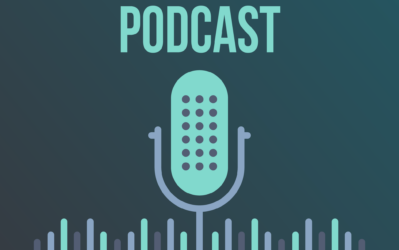 I've not done much intentional link building, but it's not uncommon for me to pick up high quality links from sites that reference my listicles, how to posts, and other high value content. The reason that it matters is because links from high quality websites help Google trust your site more. So you might link to an article on The Spruce about “8 ways to keep your cat healthy” and then they can use that article to link over to their guide to buying the best cat food – which is an affiliate article. Even though they may not pick up many links directly to their affiliate content, they can use internal linking to spread the love and link juice they are getting from other more link-worthy content on their site. In the last 6 months I've really changed how I think about the income generated from my site. I used to have some Google Adsense ad units scattered throughout the site, but the general idea was that everything pointed back to our “money” articles which were designed to get people to click over to Amazon and buy something. So while we had plenty of content like I've been describing – shareable lists, helpful tutorials, etc. we didn't really worry about making money from those pages directly. Since they had a couple Adsense units in the content, we'd make a few bucks here or there – but it was hardly anything to write home about. In fact, the earnings were so small that I had completely removed pay-per-click ads from the site. Rather than testing other PPC networks, I just (incorrectly) assumed that people were becoming increasingly blind to ads and wouldn't click on them. My thought was if we're going to make $20 per month from them, why even inconvenience our visitors by showing them? That's when I found out about AdThrive. Fortunately, we had enough pageviews to meet their threshold (100,000 per month) so I figured it couldn't hurt to try it out. What I discovered was exciting and frustrating at the same time. At first, we worked with AdThrive and installed their ads only on our non-money pages. So we didn't even touch all those affiliate articles which were bringing in all the revenue. I was a little worried about doing anything on those pages that would take away from our ultimate goal – getting people to Amazon. AdThrive manages your ads for you, so you have to wait a week or so before you see the first set of results while they are optimizing everything. When I got my first report I was shocked when I saw that we were making about $70 per day just from AdThrive. For a couple of years (literally) we'd had all these popular articles that we were making next to nothing on – now suddenly they are adding thousands of dollars every month to our bottom line. What else is out there that could improve my life if I only knew it existed?!? So if you're still thinking like I did – that the only content that makes meaningful income is affiliate content, you're wrong. If you can leverage informational content to rank for great keywords, pick up gobs of free traffic from Pinterest with fun shareable content, etc. you can add a meaningful, secondary source of income to your site. I've become a fan of AdThrive, but if you don't meet their traffic threshold there are other options like Ezoic that will let you test out multiple ad networks and layouts to make sure you're earning as much as you can from the traffic you already get. I gave you 3 reasons going the Incognito Affiliate route has worked well for me personally, but the key takeaway is about a shift in how you think about your affiliate website. Sure, the main goal is to make money as an affiliate. But the question is what's the best, most sustainable way to get there? To me the answer is to think of yourself like a real brand, that speaks to a real audience. Maybe your particular audience will want to know what camping tent you recommend – but they also want to know your best campfire recipes, how to keep bears away, camping road trip ideas, and so much more. If you give them all of that non-affiliate content, I bet you'll have a lot more success as an affiliate in the end. Spencer's note: Jake is one of three coaches for Niche Pursuits Insider. If you liked this little tip, you'll find hundreds more in the member's area and as part of our Insider member's Facebook group. It's closed right now, but you can get on the waiting list here. Well said. Much harder to build links with a site that comes across as affiliate only. The most interesting factor I have found in this article is AdThrive. I am requesting Jake Cain to write an article based on AdThrive. The article will provide us a complete description and guideline about it. Thanks for the article. Did you use Ezoic before AdThrive? I am curious how their RPM compares. I use Ezoic on a site that had 550k page views last month and wonder if it’s worth switching to AdThrive. I’ve been really happy with my RPM through Ezoic (about 4x more than AdSense alone), but I would certainly like to boost it higher if possible! Hey Travis – I did. I still use Ezoic on sites that don’t get the required traffic for Adthrive. That said, you’ve got nothing to lose. I just deactivated my Ezoic codes when I signed up for Ad Thrive (I was using the Ad Inserter plugin) just in case it didn’t increase my revenue. So switching back would be very easy, but my understanding is that Adthrive has never had anyone switch back to their previous ad service. Based on what I’ve seen, I believe it. Hi Jake, thanks for the info. Do you remember about how much of a percentage boost you received in revenue when you moved from Ezoic to AdThrive? In their FAQ they mention: “Also, Sites coming from competing ad management services average 68% more revenue per pageview.” Does that match your experience? Hey Travis – I went and looked it up for you 🙂 – I actually moved a different site over to AdThrive first, and this site I was making most of my money from Ezoic at the time. June was my last full month on Ezoic and I made $1,481 on 139,254 pageviews (I calculate that to $10.6 per 1,000 pageviews) and in August, my first full month with AdThrive I made $1,804 on 121,629 pageviews, which is $14.83 per 1,000 pageviews. Hi Jake, thank you for taking the time to dig through your stats! Those are very encouraging numbers. Right now I’m at about the same as you were with Ezoic ($10 RPM last month — $12 RPM during the holidays). Pushing that to $14+ would be great! Time to contact AdThrive. I’ve been on your email list forever, and it’s good, but i have to say that this is the best email and article I’ve seen in a while. It got me to come here and comment! Thanks!! Pure value and actionable content. I completely agree. I immediately signed-up for AdThrive after reading this article. I’ve been playing around with Google Adsense ads, but thus far the revenue hasn’t been worth the impact on user experience, in my opinion. Sweet – I had the same concerns, but have become a believer. 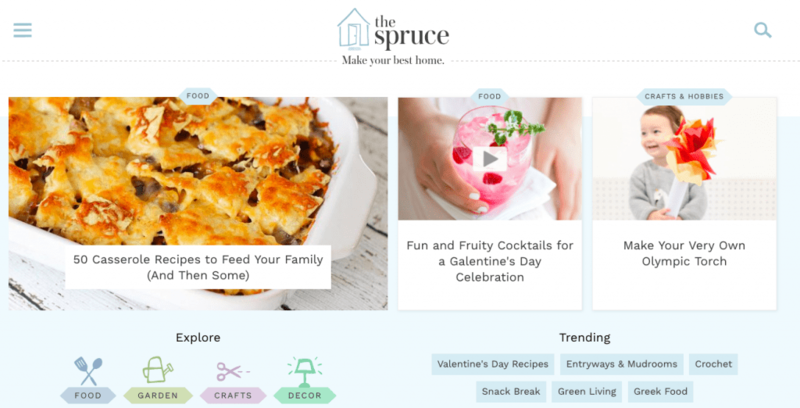 Not sure on the theme – I’ve been using Thrive and MyThemeShop themes myself. Whether it is traffic or money or both, content is one of the most invaluable assets that a site can have. This post cements that belief of mine. Wow! I have a website with international traffic and it is up to 500k per month and make a measly $2000+ from Google ads. I am going to see if adthrive works with tier 2 traffic. Thank you and i am going to start adding some informational articles on my affiliate sites. Most of them are close to 99% product page and 1% info pages. Nice – yeah, check it out. AdThrive may not be the best fit for everyone, I believe they only work with sites in certain categories – but it’s definitely worth looking around at them and other networks. The ‘incognito site’ is exactly what I just started doing. I just launched a site in November using this exact method. I used Doug Cunnington’s keyword golden ratio and found keywords in my niche to get the content machine rolling. Overall, with this model you’re creating a useful site and building trust. If you have that, people won’t mind buying through you. Agreed – very cool to hear, Earl! 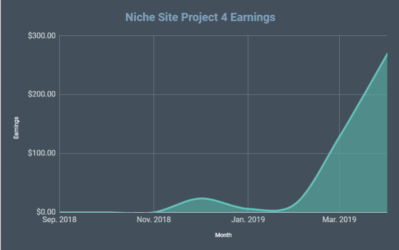 Great article & confirms what I have always done – that is build sites that I would like to read & I hate those obviously affiliate sites so mine are always informative with affiliates thrown in. Yes – that’s a good rule of thumb! It’s definitely easier to grow an affiliate site with a variety of solid content. I’m always amazed at the things that grab hold on Pinterest and the spikes in traffic that come in from them. Hi thank you for this worth information, also please any recommendation for an amazon affiliate website theme ? Great article Jake. When I visit a site and only see the typical affiliate review posts I tend not to pay much attention to the site. A blog that has a better variety of content is just more natural, and obviously easier to build traffic to. I’ve actually done this in reverse with a few sites. 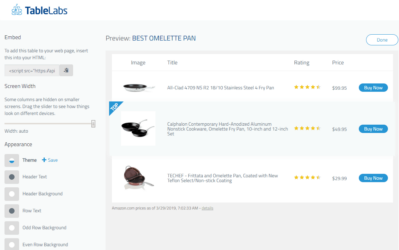 I’ve had blogs that are informative, and then after the site is built up I’ve decided to add some product review posts to generate some additional revenue. They’ve worked pretty well and just a few posts on a site with some established authority can make a difference. Affiliate marketing is slowing picking up its pace and having such information is surely useful. Thanks for this insightful article. I think that’s the future. The user experience is very important. Creating an incognito affiliate web improve that and Google like it as well. I will start doing it! Great article. I agree that these incognito affiliate sites are the way to go for the long-term. 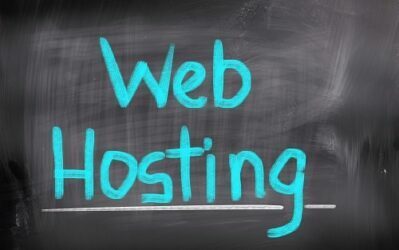 Recently, I purchased a site that fits this mold and I can already see that there are many more opportunities with an authoritative website.